Without organized workouts, NBA players have to be creative to stay in shape this offseason. Some guys are touring China. Others are playing rec league ball. Still others are just going to their local gym every day, shooting jumpers and practicing their crossovers until the sun goes down. 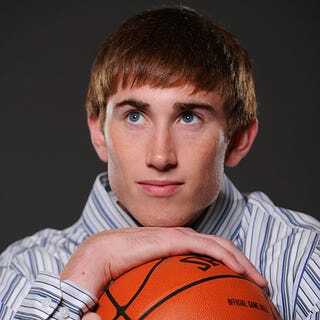 Then there's Utah's Gordon Hayward, who's working on his Zerg Rush by participating in professional StarCraft tournaments. "Pro-gamers are really sports stars themselves. The mental strategy that goes into planning your next move and what your opponent is going to do are skills you need to be successful playing basketball – and playing StarCraft II. If you want to be good, you have to put a lot of time and effort into it, just like with other sports. I've got the best of both worlds. I spend time each day on the court taking my game to the next level, and I am pursuing my passion for eSports." Yeah, no, that's great. You go do that. Hayward's a StarCraft buff, who made news earlier this summer when he livestreamed his online play. But he's probably not in the same league as SlayerS_Sleep, so we really hope he isn't counting on that $30,000 grand prize to get him through the lockout.